I am not sure if any of my readers or viewers of my videos saw me on tv, heard me on the radio or read my quotes (in various articles) but I wanted to talk about what it’s like being an outspoken advocate with a much wider reach. It can be exhausting, exhilarating and rewarding. On one hand, I feel privileged and fortunate to have that kind of platform but on the other hand it required a lot of masking and time to emotionally decompress. I also wanted to mention that I did not rehearse anything I said. Everything was on the spot and completely spontaneous. If anyone is wondering how this came about: Twitter. I get pretty outraged about things and I find that it seems to be a platform with a very receptive audience. 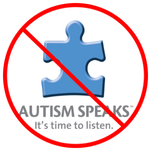 I can’t recall what was the first media source that alerted me to the whole Laurie Guerra/AutismBC issue, but, as a member of the community where she is presently serving, I felt as though it was my duty, not only as a civilian but as an Autistic person, to throw my feedback in to the mix. I was heard. WE (the autistic community) were heard. It’s not okay to serve one group of marginalized people and then say negative things about a curriculum that is supposed to teach school-aged children acceptance and awareness for those who are LGBTQ2+. Any time I see a pertinent issue, I try to get involved, amplify the message of those who are allies, friends & the Autistic community. I feel fortunate that I have found a purpose. There is hope and strength in our message that comes through our activism. This can not happen again. We will not be dissuaded. Here’s the radio interview. A special thanks to Brianne for not only recording, but uploading it on youtube. I have also updated my ABOUT section so you’ll be able to see the links for all my press! Laurie Guerra has stepped down. NO one is taking accountability for Laurie Guerra’s actions. Read below as I dissect each paragraph and give my own personal opinion on what has been said. As the petition grows and the word is getting out there, the interest from the public has also increased. I was interviewed for News1130. I was featured on the on-air broadcast as well as the link below. I was also interviewed for CityNews and that link will take you to a video. The letter below was sent to the Board of Directors of Autism BC yesterday in light of the recent news of one of their Directors’ connection to a number of groups that have strongly advocated not only against curriculum resources designed to create more safety and inclusion for LGBTQ2S+ students, but also against the very acceptance of those students and their identities.